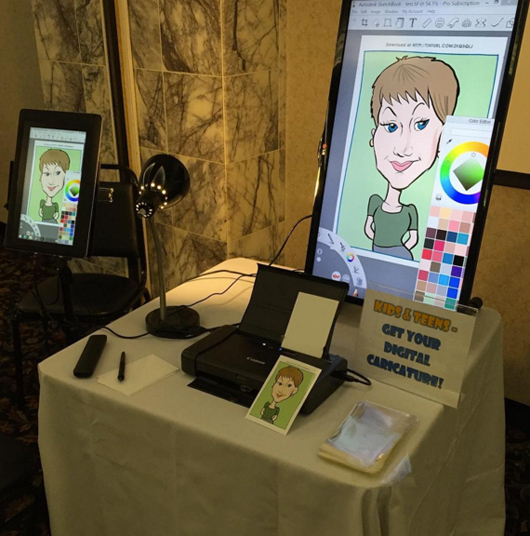 Digital caricatures are a fresh new way to entertain your guests at Bar and Bat Mitzvahs! The crowd gets to watch as the drawing comes to life on the 32″ TV screen. Each guest gets a color 4×6 photo print to take home. Everyone gets to view and download all of the caricatures from the event the next day. 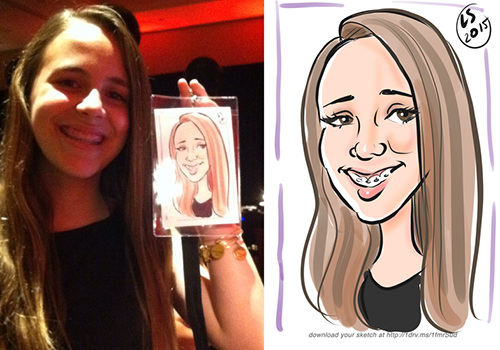 Laura drew live digital caricatures at a Bar Mitzvah in Alexandria, Virginia. Here are some from the event as well as a photo of the setup. This was through About Faces Entertainment. The digital caricature setup, including the tablet, printer and display screen. 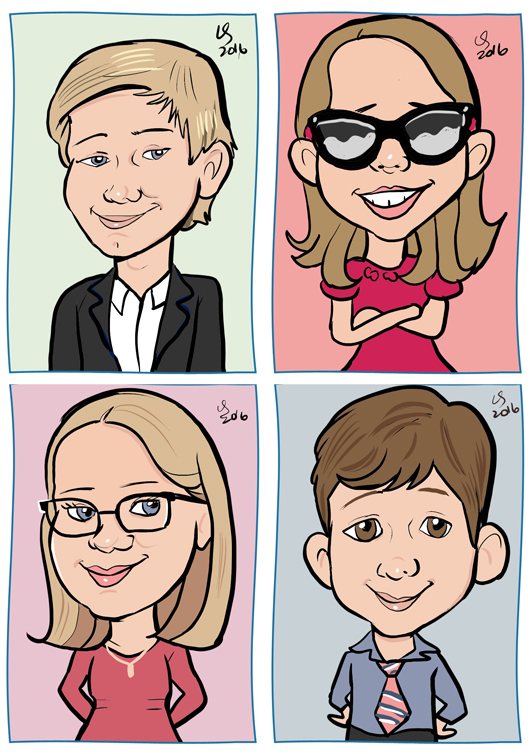 Laura and Mark drew digital caricatures at Bar Mitzvah in Bethesda, Maryland recently. This was through Jason Levinson. Each caricature came with a badge holder and lanyard! Find out about booking a digital caricature artist for your next event!